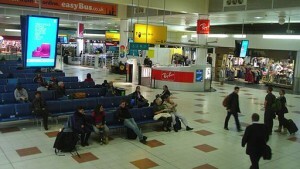 Is London’s Gatwick serving Happy Hormones? We all know that sluggish tiredness we feel when we’re traveling. Our agitation seems inexplicable when all we’ve really done is walk a bit and sit a while. The problem is chemical, specifically low levels of dopamine and serotonin in our brains. In order to help demystify the grumpiness of its travelers, says an August 2015 CNN story, London’s Gatwick Airport hired nutritionist Jo Travers to help restaurants there create meals designed to help travelers boost their levels of dopamine and serotonin so that they feel happier. It’s one thing to go to an airport to watch planes take off and land to hear the airplane engines roar. It’s entirely another to live in the flight path of an airport. Many people who live by airports across the world know how loud it can be. 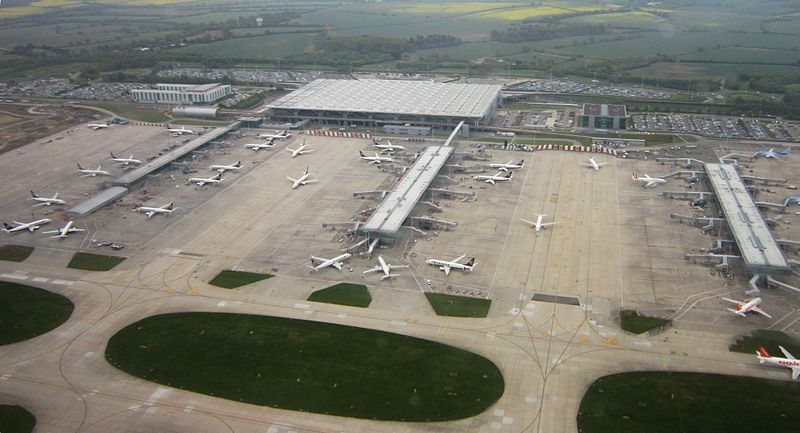 For the 4,000 people living near London Stansted Airport, life is about to get much quieter, thanks to a new take-off procedure. As it stands, the residents to the south and east of Stansted experience a lot of overhead noise, as planes take off south, before banking east, in a rather wide path that covers a few miles. But thanks to Performance Based Navigation, a new technology that helps pilots fly their plane’s flight path coordinates more accurately using GPS, that flight path is about to get a lot smaller. It seems a little contradictory to hear from the country that holds the world’s tallest building, but Dubai Airport CEO Paul Griffiths doesn’t believe bigger will be better for the Dubai airport. In fact, according to a FutureTravelExperience.com story, Griffiths has said that guaranteeing the best possible customer experience is what’s driving the overhaul and design development of the airport. The goal is not to be the biggest they can be, but rather, smaller and more efficient. 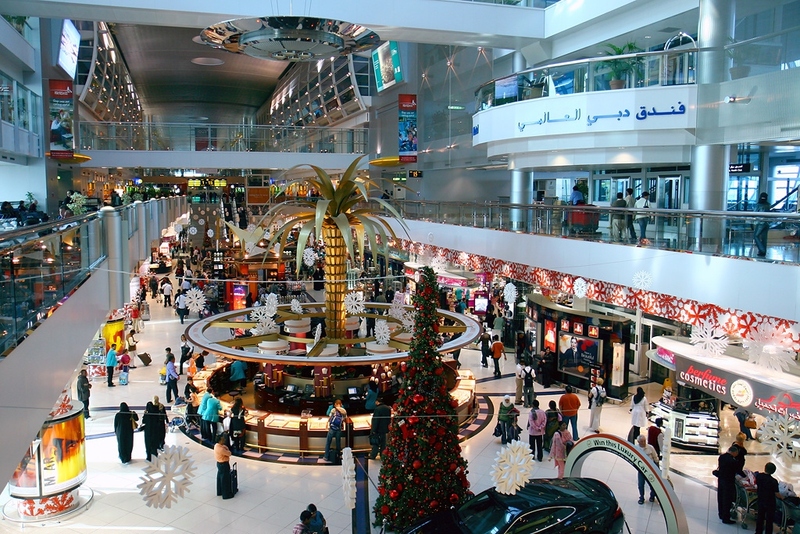 Instead of adding to its already large footprint, Dubai’s existing Al Maktoum Airport will be expanded utilizing a modular “node” approach, funneling passengers to smaller, self-contained, identical mini airports where passengers will connect within 400 meters of their next flight. The goal of this design is the efficient movement of passengers, allowing for an increase from the current load to 26 million passengers by 2018. The ultimate capacity for each of the 12 nodes is 20 million, increasing the number of passengers the airport will handle to be 240 million. While implementing a similar approach would be more challenging in landlocked airports like New York’s JFK International Airport or Tokyo’s Narita International Airport, industry experts certainly will be watching Dubai’s experiment to see if its advances can be duplicated across an industry with aging infrastructure. The last thing an international traveler wants to deal with after a long trip is getting through customs. It’s always an unknown, like playing a game of roulette. Will it take a few minutes or will it take an hour? The US Customs and Border Protection (CBP) is in discussions with 10 additional overseas airports to roll out the “welcome home” banner by instituting pre-clearance processes similar to what it already has in place at 15 other international airports. It’s a lot like the TSA’s Pre-Check program, where select individuals can bypass the TSA checkpoint and walk right to their gate. “I want to take every opportunity we have to push our homeland security out beyond our borders so that we are not defending the homeland from the one-yard line. Pre-clearance is a win-win for the traveling public. It provides aviation and homeland security, and it reduces wait times upon arrival at the busiest U.S. airports,” said Secretary of Homeland Security Jeh Johnson said in a DHS press release. CBP currently offers this service at nine airports in Canada: Calgary, Edmonton, Halifax, Montreal, Ottawa, Toronto, Vancouver, Victoria, and Winnepeg, as well as airports in Dublin and Shannon, Ireland; Aruba; Nassau, Bahamas; and Bermuda. 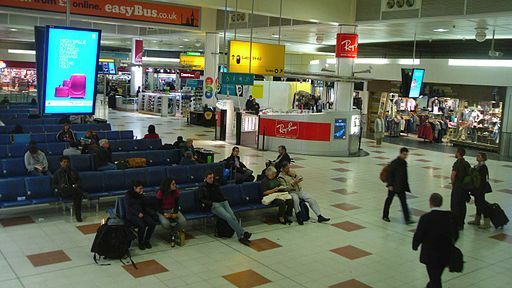 When passengers fly through pre-clearance airports, they are treated similar to passengers on a domestic flight. 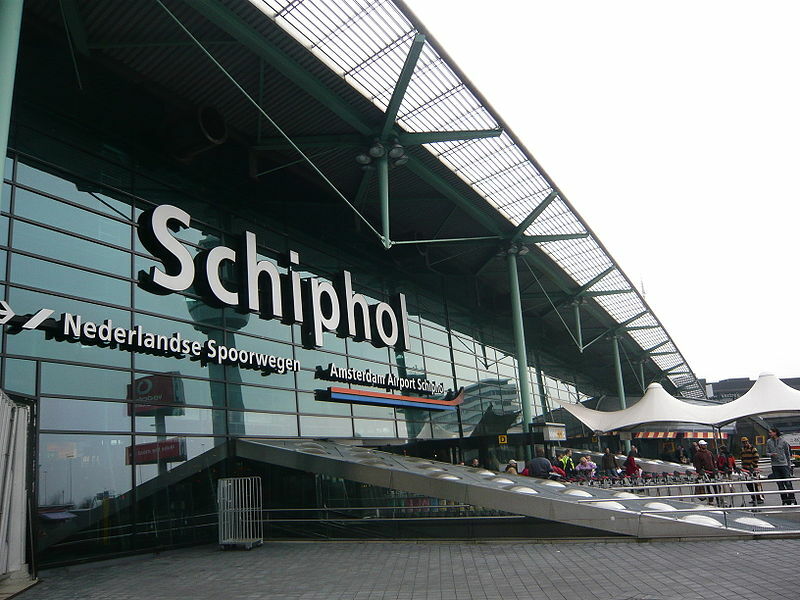 The 10 proposed new sites include: Tokyo’s Narita International; Brussels, Belgium; Punta Cana in the Dominican Republic; Amsterdam, Netherlands; Oslo, Norway; London Heathrow and Manchester in the United Kingdom; Madrid, Spain; and Instanbul, Turkey. Gil Kerlikowske, commissioner of the CBP, said that pre-clearance helps identify security threats. Last year it expedited re-entry for 17 million US-bound passengers. Here’s how the process works: while in flight, passengers complete a simple customs form. Upon arriving, they are directed to a self-service kiosk. The kiosk scans their passport, photographs them to ensure their identity matches the passport, scans the customs form electronically, and issues a receipt. A customs officer scans the receipt and may ask a few questions. Then he or she sends the passenger on their way. And they get to go home a little bit faster. Ever since the TSA has not allowed more than 3.4 liquid ounces to pass an airport security checkpoint, travelers have dealt with the high prices that are charged for beverages, like bottled water and soda in the convenience and magazine stores at the airport. But if you’re a water drinker, you can always pack an empty bottle with you to fill. It’s a good way to save money, but it also brings with it the possibility of picking up some germs from the drinking fountain. We tend to recommend against filling your bottle at the drinking fountain, but it’s definitely a personal decision based on how much of a germaphobe you are. However, more airports have begun installing water bottle filling stations, which can be presumed to be cleaner as they’re set up in a way so germy mouths can’t come into contact with them. And if you’re concerned about the environment, packing a refillable bottle can be a great way to make a difference as water bottles do create a lot of waste. Of course, you may want to consider whether you want to carry a large, bulky refillable water bottle with you. If you’re traveling light, try to stick with disposable bottles, so you don’t have to buy a bottle only to lose it on the second day of the trip. Finally, consider how long you have to wait for your plane. Most flights still offer beverage service, which means you can get relief in a fairly short time. So if your airport stay is going to be short, you may not need to buy a drink at all. Just wait until you’re up in the air and guzzle down some complimentary water. What are your hydration habits at the airport? Do you buy your own water or soda, drink at a fountain, or just fill up on the plane? What do you want to see in a future Bring This Not That? Leave us a comment or head over on our Facebook page and let us hear from you. Bring This, Not That: Should You Take a Taxi, Hire a Car, or Drive to the Airport? 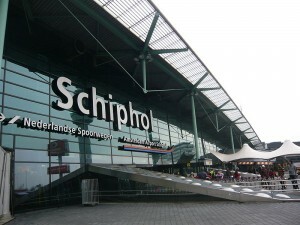 When you’re going to the airport, what’s the most cost effective way of getting there and getting home again? Should you hire a cab or an Uber driver, or even a black town car? Or should you park your car in long-term parking? In some cases, this really is a “six of one, half dozen of the other” scenario. So how do you figure out which is the better choice? I always prefer to hire a car to take me to the airport if we’re going on vacation. I’m already going to have to pay for parking if we drive our own car, which can really add up if it’s an extended stay. Out of pocket, the car service will be more than parking, but the convenience can outweigh a lot of things. For one thing, I prefer a car service because being dropped off curb side saves on a lot of stress, especially if the whole family is going. So it’s always important to look for a car service that is decently priced, because prices can vary quite a bit. Other considerations are the distance to the airport. How far away are you and what is the cost to get there by yourself in your car versus hiring a car or taxi? If you’re close to an airport, it’s a lot more economical to take a cab. The airport pricing for parking varies. Finding a spot can be difficult if you’re at a busy airport, so you may need to valet park the car, which costs even more. Another option in larger cities is public transportation. In Florida, look for the Tri-Rail, which can get you from West Palm to Ft. Lauderdale airport to the Miami airport with great ease. You have to buy a ticket both ways but it’s a great option for extended stays and could be cheaper than a car service or a taxi. It is more time consuming because it has more stops, however, so there’s the whole money-versus-time conundrum to figure out. But in terms of total dollars, the only thing cheaper is a friend who’s willing to help you out. So how do you usually get to the airport? What’s your standard mode of transportation? Do you park and ride, take a cab, or even public transportation? Leave a comment and let us hear from you. 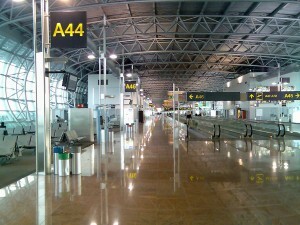 An airline terminal can be a relaxing place to sit for a moment, after rushing and scrambling with last minute packing. Or it can be stressful with the chaos of other travelers anxious to get home. Airlines are hoping it will be the former, making it a place where more people are willing to spend time, relax, shop, and eat. 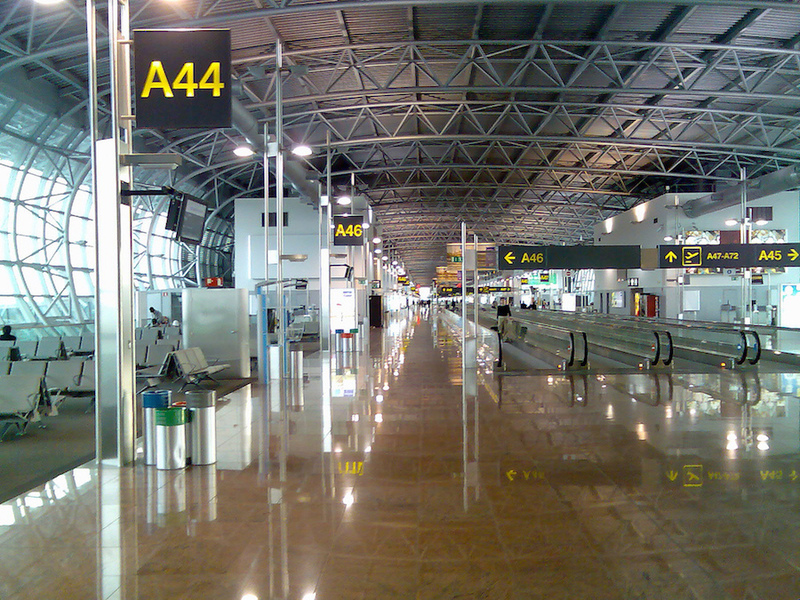 Many airports are pouring in millions, if not billions, of dollars into renovation projects. We’ve talked about some of the ways airports are trying to enhance travelers’ experience such as the efficiency of baggage screening and the use of wearable technology. Airports are also revamping the themselves, according to a recent USA Today article. 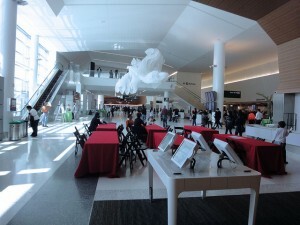 San Francisco International Airport completed a $138 million project that features free wifi and even a yoga room. Dallas/Fort Worth International Airport’s renovation features kiosks that print boarding passes and luggage tags. The Los Angeles International Airport remade the Tom Bradley International Terminal to let in a lot of natural light through massive windows. It also has an aluminum roof resembling ocean waves. Of course, some people may not appreciate the renovations, because it either means fewer flights during renovation, or more likely, you have to navigate all the construction chaos to get to your gate. Renovations also cost a lot of money, which may mean an increase in ticket prices. And finally, some fliers just don’t want all the extra gadgets or bonuses, so they may not see what all the fuss is about. But for those of us who travel a lot and sometimes feel like the airport is our second home, these improvements are much needed, much welcomed, and much appreciated. They may be inconvenient at times, but they’re being done to make your flying experience more convenient and stress free.